First performance of the completed Guyute. This show marked the first performance of the completed Guyute. Wilson contained a Paint It Black tease by Trey. Tweezer Reprise started as Tweezer. 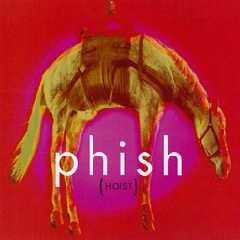 The Phish debut of Foreplay/Long Time was performed acoustic, and included Fish on the "female washboard." 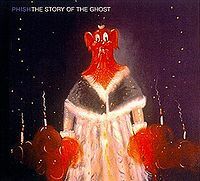 This show marked my "coming out" as a Phish fan. 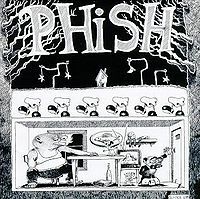 Having recently moved to Reading, Pennsylvania, I was introduced to Uncle Pete and the menagerie of cartoon characters that inhabited his Northeast Taproom as a "big Phish fan" by my roommate Rocky. I found this description to be odd at the time"...but I have certainly attempted to live up to this new identity. Upon learning that I was a friend of ours, Pete immediately invited me to come along on his upcoming "Phish bus" trip to Stabler Arena. This trip included catered refreshments (Stoudt's Bathtub Gin), several pit stops at watering holes along the way to and from the show, a surprise trip to the backstage loading dock area of Stabler Arena to drop off some beer for the band (Brad Sands is a former Readingtonian and Taproom regular), and a healthy blast of mace in the face from one of Kutztown's finest (a misdirected shot during his foot pursuit of a fleeing suspect). 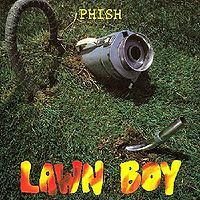 Musical highlights of the show included the debut of "Guyute", a riotous first time bluegrass cover of Boston's "Foreplay/Longtime", and my first live "Tweezer. 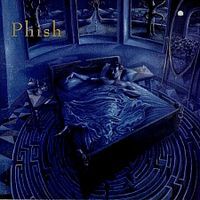 " As "Tweezer"s go, this one was nothing special when compared to some of the monsters that were unleashed in Fall 1994. But, I am now a "Tweezer" addict, and not unlike many other habit forming substances, that first taste is always one of the more intense experiences one can have with it. Overall this show seemed to have a vibrancy and vitality that seemed entirely absent from the Grateful Dead shows I had attended at the Boston Garden and Madison Square Garden on the weekends before and after Lehigh. 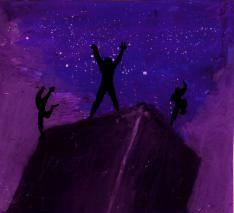 The contrast between the ascent and descent of the two entities was stark and overwhelming. The Dead, from that moment on, were sadly enough dead; Phish however, to my great pleasure, was definitely a live one. Although this was technically my second show, I really didn't know Phish when I went to my first show that summer (which immediately turned me on). So I consider this my first show after going home that summer and listening to a few CD's (didn't know about bootlegs just yet, heh). Small, intimate venue. I remember we were on the 1st row of the bleachers and the second the show started, everyone just slid under the rails onto the floor. My whole party made it down and scattered, but I got caught by security and forced to go back to the bleachers. But by the 2nd set, I was able to sneak down again and truly enjoy the show with my friends. And so began my lifelong love of Phish. 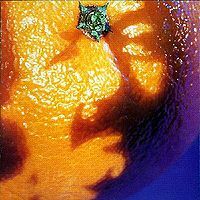 I’ve been meaning to check out some of the many hopefully underrated gems of Fall ‘94. There’s no place better than the start of that tour. This was such an important evolutionary time for the band, where they were still playing with much of the technical precision from the preceding years but starting to really stretch out their jams. This show is pretty solid, especially given that it’s the tour opener. I love My Friend, My Friend as a show opener and even more so as a tour opener! This version, like much of the set, is performed quite well without being particularly noteworthy. A decent Julius follows. And then we get to Glide. Oh, how I miss that tune. A nice treat. The rest of the set consists of solid versions, including the Divided Sky and Stash. This is Fall ‘94, after all, one of the peak eras for the band. 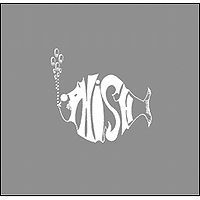 The Guyute is noteworthy as being its Phish debut - not a bad first outing. Golgi closes out this decent but not amazing set. Maze is a fantastic choice as a set opener as it can set the tone for the rest of the set. This version doesn’t disappoint and soars. After a Horse > Silent breather, we get to the centerpiece of the set, Reba, which is an inspired version. The whole band is locked in here. Next comes Wilson and Scent, which are both fine. A relatively short, but smoking Tweezer follows. It’s hard to believe that in just under a month they’d be playing the Bangor Tweezer, which winds up on A Live One. It’ll be fun to see how they get from here to there as this version stays pretty much within the type I range. Lifeboy, My Sweet One and Tweezeprise close out the set decently. The encore includes the debuts of Foreplay/Long Time, performed acoustically, along with Cavern. Overall, a pretty good show and a decent start to what will an epic tour.